Mr. Twenty-Something is obviously in pain. His face is contorted and his right shoulder doesn’t look like his left. He’s wearing a tank top, and the complex and colorful tattoos across his upper torso don’t conceal the deformity of the top of his right arm. Where the left shoulder had the expected dome of muscle extending from the edge of his collarbone, his right one is flat. Grimacing, he clutches his right hand to his body to prevent it from moving even a millimeter. As a gray-bearded emergency doctor, I recognize an anterior shoulder dislocation—while rushing past the open curtain on my way to see a 74-year-old woman with severe abdominal pain. It doesn’t take any longer than that; I have seen dislocations so many times by now. I used to love the mystery and intrigue of a challenging diagnosis. I thought it was thrilling to order X-rays and tests and use complicated maneuvers to arrive at the truth of what was ailing my patients. Not anymore. I am running my whole shift. I don’t have time to play House. At the county hospital in Salinas, California, that sort of self-gratification is a rare luxury. We are busy tonight; it is always busy. Very busy. There are 20 patients waiting to be seen; crying babies in the hallway; prisoners surrounded by guards to my right; and a sweet, little old lady to my left who I know has kidney cancer. She does not know yet. Neither does her frail little husband sitting nervously at her bedside. His eyes are flitting around the mayhem, not given privacy by a flimsy, open curtain. I will tell them when I get a chance. Monterey County is a microcosm of the United States in 2015. You have on the coast Tiffany & Co. jewels, Pebble Beach, movie stars, and Rolls-Royces. There are services, order, and plenty. 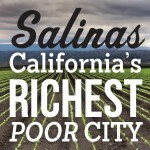 In Salinas, we have open-air drug markets, mass homelessness, multiple families living in tiny abodes, scabies, mentally ill people running into the street, and children who threaten and swear at their protectors and authorities. But we also have young parents literally breaking their backs stooped over in the fields working to improve their children’s lives. Community workers come into our emergency department in the middle of the night to counsel gunshot victims and show them the way to a better life. We have law enforcement officers risking their lives to protect the weak and innocent. We have agricultural leaders donating huge amounts of money for medical equipment rather than taking that money as profit. We have EMS workers running non-stop for 12 or 24 hours to save the lives of people who spit, vomit, and urinate on them (and sometimes take swings at them). We have fire fighters running into fires and toxic spills to haul out people they never met and who will never know their names. And we have young men with dislocated shoulders giving up their emergency department waiting-room chairs to pregnant women with small children. Salinas is a crucible. We have the best and the worst of human experience. The heat and pressure generated by the poverty, deprivation, conflict, and abandonment separate the gold of human kindness from the filth of human evil, making each clearly visible. To work in the emergency department in Salinas is to watch all the behaviors, the pure metal and the dirty dross, swirl around each other. 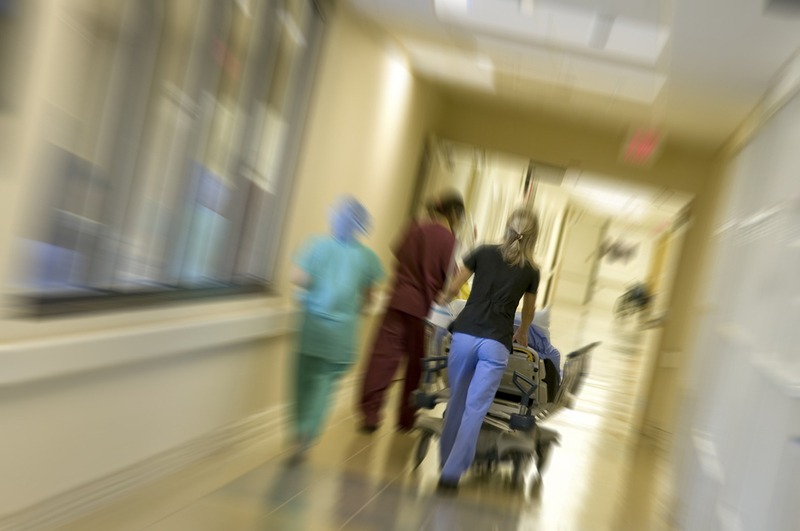 Then an announcement blares out of the loudspeaker: “CODE TRAUMA—Emergency Department—Room 7. CODE TRAUMA—Emergency Department—Room 7.” Damn! Sorry, shoulder guy. Gotta go. It is a Sunday evening in Salinas. The orange glow from the ambulance bay doors down the hall suggests another beautiful Pacific sunset. The other emergency doctor on duty with me has just been told by his methamphetamine-and-alcohol-intoxicated patient that he and his family will be murdered. I get back to the shoulder guy’s little slot. His is next to the little old lady now, everyone having been shuffled around to make room and order from chaos. She and her husband know about the kidney mass now. He stares blankly at the floor. She flashes me a little smile as I dash past. Craig Walls is an emergency doctor in Salinas, California. This essay is part of Salinas: California's Richest Poor City, a special project of Zócalo Public Square and The California Wellness Foundation. *Photo courtesy of John Panella.